The Community Foundation of Mississauga has a vision for the future. In our vision, our community is able to include, and offer opportunities to, everyone. It has the knowledge and ability needed to shape its own future. We are ready to address pressing problems like hunger, unemployment and housing. And all of our citizens are able to benefit from the best our community can offer; the arts, recreation, health care, education, safe and inclusive neighbourhoods and a healthy environment. The donors and volunteers of the Community Foundation of Mississauga have demonstrated a shared passion for that vision. If you know an individual, organization or corporation that you would like to see recognized for their outstanding contributions to building community vitality through their support of the Community Foundation of Mississauga, we invite and encourage you to submit a nomination form so that they can be considered to receive the Pendle Award for Philanthropy. Please note that the Pendle Award for Philanthropy will be presented at the Annual General Meeting held generally on the last Wednesday in May of each year. The Pendle Award for Philanthropy was established in 2010 by the Community Foundation of Mississauga as an initiative of the planning committee for the tenth anniversary celebration of the Foundation to be held throughout 2011. This award has been named in honour of the Pendle Fund donors, one of the earliest gifts and largest funds held by the Foundation. Since then, they continue to be inclusive, thoughtful and strategic in awarding the grants from the Fund. The Pendle Fund donors demonstrate that philanthropy can truly transform our community. Merle Zoerb - 2017 Pendle Award for Philanthropy Recipient. It is with great pleasure that we awarded the 2017 Pendle Award for Philanthropy to Merle Zoerb. Merle has been a tireless advocate and volunteer for the Community Foundation of Mississauga since before it was formed. 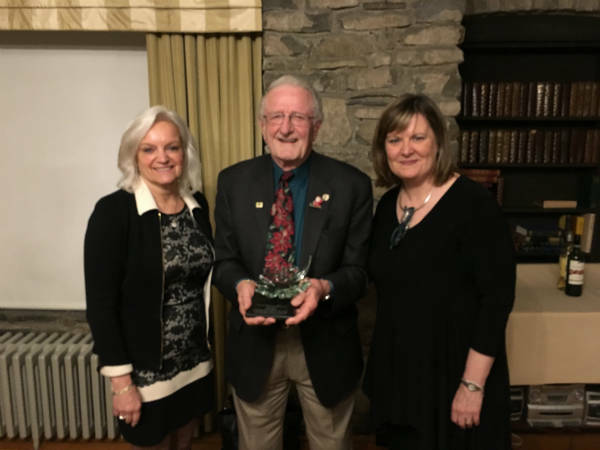 He was one of a group of community citizens who were aware of the Community Foundations movement that was sweeping Canada and the value they brought to the lives of those communities. There were so many reasons that it made sense in Mississauga and along with a handful of early volunteers, Merle helped to establish this Foundation.